Should travelers bring paper books on the road or buy an ebook reader? Personally, I like physically holding books in my hand and can't see myself ever getting a Kindle or other ebook reader. But sometimes it's difficult to find English-language books while traveling overseas. Also, books are heavy to carry around. If you do find yourself stuck without something to read, there are some easy ways to read high-quality ebooks for free on your laptop, tablet computer, iPod, or smartphone without buying an ebook reader. 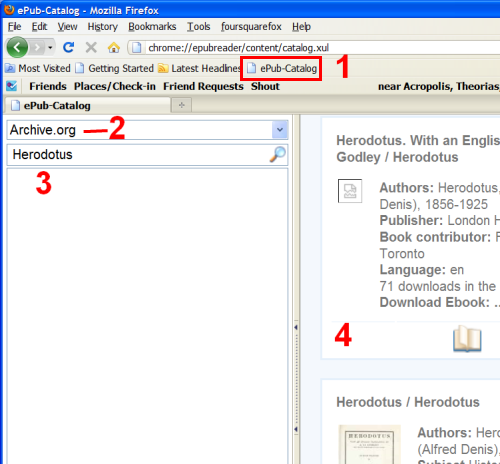 One of the easiest ways to get free ebooks is to install the EPUB Reader for Firefox. 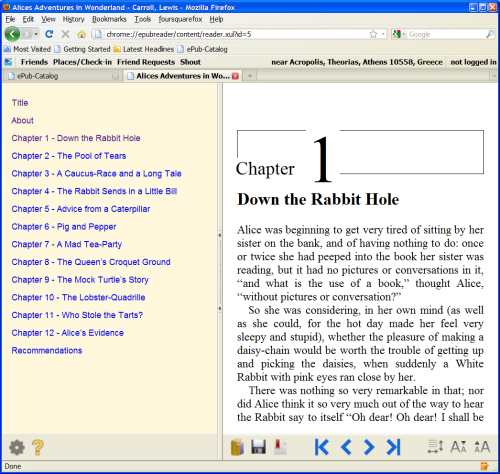 EPUB is an open format for ebooks. The numbers below correspond to the numbers in the screenshot below. 2. Once you are there, choose the website where you want to search for ebooks. 3. Type in your search term. In the screenshot, I choose Herodotus (highly recommended reading for a Greece trip). 4. Your search results will show up in the right pane. Click the book you want to download. 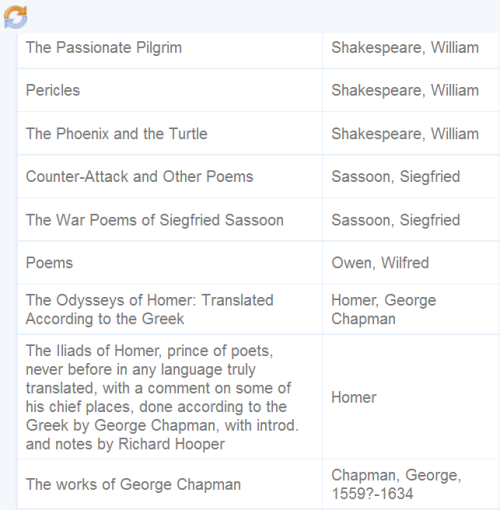 Project Gutenberg has a library of over 33,000 free ebooks in many languages. Many of the books are in EPUB format, which can be read with one of the free EPUB readers mentioned above. I've had better luck finding good books on Project Gutenberg than on Archive.org. Don't expect the formatting to always be perfect, but it usually is good. There is also a mobile edition of the site at m.gutenberg.org. You can also get free ebooks and audiobooks in EPUB and Kindle format at Archive.org. If you want to read books in languages other than English, check out this list of sites.